Security business managers and owners can submit a request on our contact page for bulk discounts. "I found I learned more as compared to the traditional classroom delivery style. You can repeat sections, rewind presentations, and focus on what is important for you. In the classroom, you get it or you miss it. With GuardStar Academy online I NEVER MISS A CLASS!" Looking to hire security officers? When talking to security companies, ask if their officers receive training from GuardStar Academy to get the best. Ready for the next step in your career? 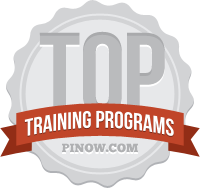 Click below to learn how you can complete the Georgia Private Investigators Training.